Chia seeds are rich in omega-3 fats, protein, fiber, and carbs. Here's how to use this superfood to benefit your health. Chia is a superfood that packs a huge nutrient punch. It's popular for its infusion of omega-3 fatty acids, antioxidants, fiber, and protein. It also has a lot of vitamins and minerals. Here are all the facts on the seed you need. What is the Macronutrient Profile of Chia? One ounce of chia seeds contains about 140 calories. It provides 4 grams of protein, 9 grams of fat, and 12 grams of carbohydrates. Ten grams of the carbs are fiber. Chia's high fiber content might help you stick to your healthy-eating plan. Fiber is a bit of an unsung hero in the American diet and is seriously lacking in many individuals. Most people consume only half of the 25 grams recommended. Fiber can help to control appetite, making you feel more full for longer so you eat less throughout the day. Fat phobia is on the wane in health and fitness circles. People are increasingly realizing there are many forms of fat that do different things in the human body. Chia seeds contain alpha-linolenic acid (ALA), a short-chain omega-3 fatty acid. ALA is an essential fatty acid that we can only get from certain plants. This fat is highly researched and has been found to be a healthy addition to the diet. Chia has been found to increase ALA markers in the blood. Chia seeds contain a decent amount of protein and 18 of the 20 essential amino acids. It's not enough to support a high-protein diet, but could be beneficial in adding a little extra protein and fiber, along with a significant amount of fat. Think of it like peanut butter. Peanut butter has some protein, but a lot more fat. Similarly, chia contains protein but is a more significant source of healthy fat. It still could make a good supplement for people who don't eat meat by increasing protein and B-vitamins that are difficult to obtain from plant-based foods. Where chia seeds really shine is their micronutrient profile. They contain calcium, phosphorous, manganese, magnesium, iron, zinc, and copper. In fact, the seeds contain higher amounts of calcium, phosphorous, and potassium than milk. Calcium is a mineral responsible for many muscular and skeletal actions in the body, especially maintaining bone mineral density. When calcium is lacking in the diet, the risks of stress fractures and osteoporosis are higher. Chia is also an excellent source of B vitamins, with more than many cereals and oats. It's a great choice for those with celiac disease or sensitivities to wheat. Along with its amazing vitamin and mineral benefits, chia has earned a spot in the superfoods list through its antioxidant activity. 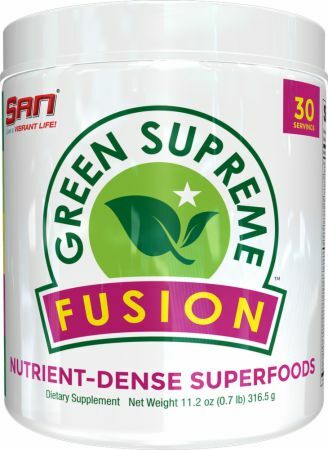 Its antioxidant properties are responsible for a number of activities in the body, including protection against both free-radical damage and other fats that could become rancid and harm the body. Among chia's boatload of nutrients and antioxidants is caffeic acid, an antioxidant found in our dear friend coffee. Don't let that name fool you, though. Chia seeds do not actually contain caffeine. Antioxidants, however, may in fact reduce fatigue and decrease exercise-related inflammation. So, between chia's antioxidants, fiber, and healthy fats, you'll get a nice cocktail of energy-producing nutrients to help you forge through your day. Chia seeds are considered safe and a great supplement to the diet. There are no side effects from chia seed consumption, other than mild gastrointestinal discomfort from too much fiber if you eat too many of them. 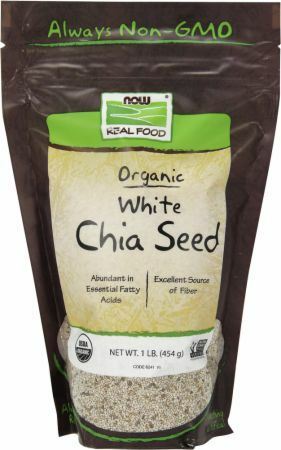 Is Chia Better Than Flax? So, which is better in a super-seed face-off: chia or flax seeds? The answer is…it depends. As with other dietary recommendations, your goals and personal preferences will dictate the answer. In a 2-tablespoon serving, chia has lower overall calories, higher fiber, higher carbohydrates, and double the calcium and selenium of flax. On the other hand, flax seeds have higher magnesium, potassium, folate, copper, vitamin B1, and slightly more of the important omega-3 fatty acid ALA.
Chia and flax have around the same amount of protein, making them both great choices. In the end, chia is much more versatile when used in recipes and can stand on its own, while flax is a great addition to shakes and other recipes. 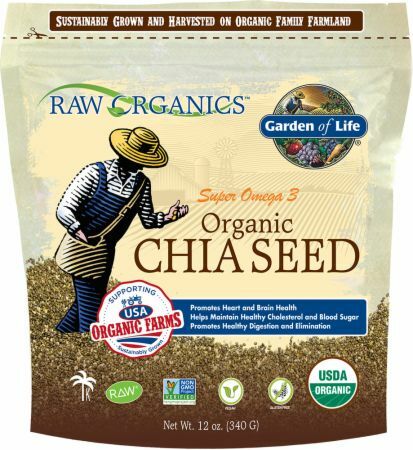 Much like flax seeds, the best way to receive the nutrients of chia is to crack open the outer shell. This cannot be done by chewing alone. Grinding or soaking the seeds will yield the best results. To receive the most nutrients out of the seeds, soak 1.5 tablespoons in 1 cup of water for 30 minutes to 2 hours. You can also grind or pulverize the seed for ingestion. It can serve as a substitute for flour in some recipes when ground. Try this tasty nutrient-packed seed in smoothie bowls, sprinkled on top of salads, or added to a shake with your favorite fruit and protein powder! How Many Chia Seeds Should You Eat? There is not a recommended daily allowance for chia seed intake. A 1-ounce serving can meet almost half of your daily fiber requirements and give you a vitamin and mineral boost. Eaten alone or added to recipes, 1-2 servings of chia should expose you to the benefits of this mineral-packed, energy-supporting superfood. Where Can You Find Chia Seeds? These little black seeds were once used by Aztec tribes for medicine and energy. Now you can buy them at most grocery or health-food stores. Look for them in the natural foods section or bulk bins. Rich In Omega-3 & Fiber! One Of The Best Known Sources Of Essential Fatty Acids! Ixtaina, V. Y., Nolasco, S. M., & Tomas, M. C. (2008). . Industrial Crops and Products, 28(3), 286-293. Slavin, J. (2013). . Nutrients, 5(4), 1417-1435. Nieman, D. C., Cayea, E. J., Austin, M. D., Henson, D. A., McAnulty, S. R., & Jin, F. (2009). . Nutrition Research, 29(6), 414-418. Tavares Toscano, L., Tavares Toscano, L., Leite Tavares, R., Surama Oliveirada da Silva, C., & Silva, A. S. (2015). . Nutricion Hospitalaria, 31(3). Muñoz, L. A., Cobos, A., Diaz, O., & Aguilera, J. M. (2013). . Food Reviews International, 29(4), 394-408. Reyes-Caudillo, E., Tecante, A., & Valdivia-López, M. A. (2008). . Food Chemistry, 107(2), 656-663. Taga, M. S., Miller, E. E., & Pratt, D. E. (1984). . Journal of the American Oil Chemists' Society, 61(5), 928-931. Mach, J., Midgley, A. W., Dank, S., Grant, R. S., & Bentley, D. J. (2010). . Nutrients, 2(3), 319-329.